DIN Standards are invented for a variety of components including industrial fasteners as DIN 674 Flat Round Head Rivets. 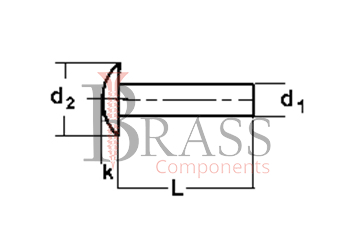 DIN 674 Rivets are manufactured from Carbon Steel, Stainless Steel Grade A2 or A4, Brass, Alloy Steel, Plain Steel, Copper, Aluminium or many other materials. DIN 674 Rivets are available in a wide range of sizes, shapes and materials. DIN 674 Rivets with a Semi Circular Head. Complies with GOST 10302-80 and ISO 1051. DIN 674 Rivets characterized by a lower height and is closer to the base of the rod. Semi-Circular Low Profile Head Intended for installation by hammer. The Cap of the Rivet is securely fitted. Create a strong connection of parts using rivet hammer. The Coating protects the rivet from corrosion when used in high humidity environment. Used in Machine Building, Instrument Making, Aircraft, Tools and other Industries. Used to create a lasting permanent joint of two sheet elements. 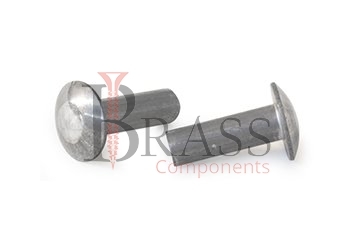 We manufacture DIN 674 Rivets as per Custom Specification and export in Germany, Spain, Netherlands, Portugal, UK and other European Countries. For more Information, Please Contact Us or Inquiry Now.